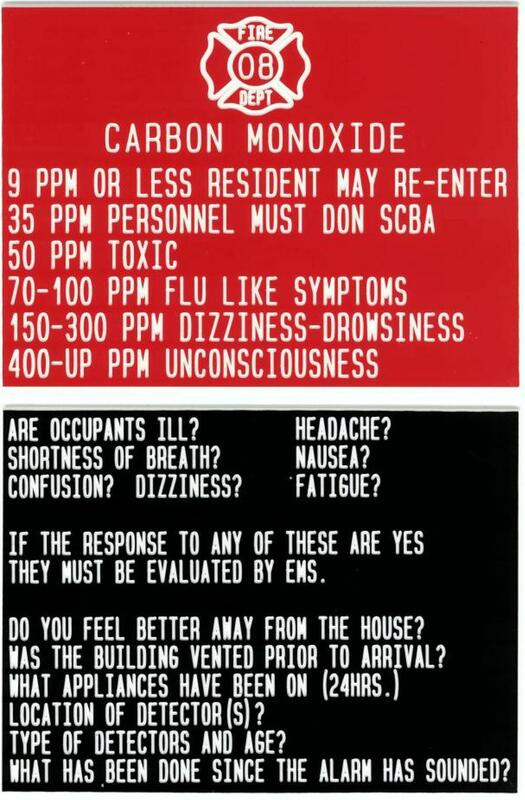 3" x 4" Carbon Monoxide Reference Plates. Use while on CO calls for quick reference on procedures and info. Can be customized to individual Departments procedures. Please call for customization.